Taking a break from her OTRII tour with hubby Jay-Z, Beyonce and her family enjoyed a mini vacuum in Cannes, France. Bey shared her yacht look via her instagram on Monday(July 2nd). 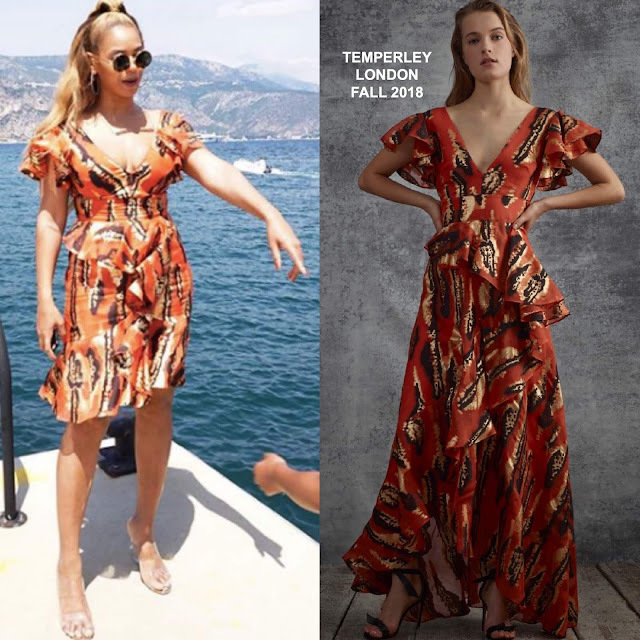 She posed for the gram rocking the TEMPERLEY LONDON FALL 2018 'Audrey' printed metallic lame organza dress which stopped above her knees and featured cascading ruffles and a v-neckline. 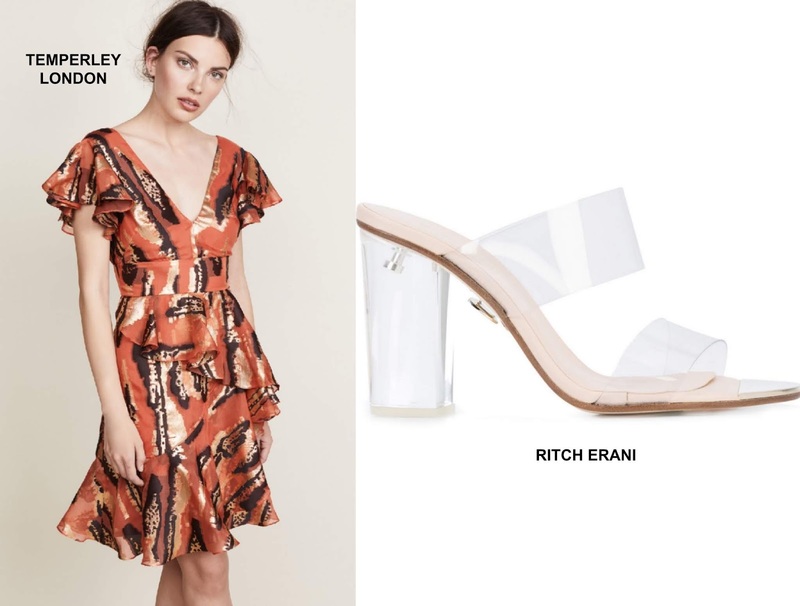 She offset her printed dress with the RITCH ERANI 'Clara' transparent mules. Even though I find the dress to be a bit tight around the bust and this is a fall piece, it actually works from her yacht trip. It's a playful, bold piece that se pulls off. Round sunglasses and a half-up, half-down hairstyle finished up her look. Are you feeling Bey's instagram style? You can get Bey's Temperley London dress at SHOPBOP & her Ritch Erani mules at FARFETCH.